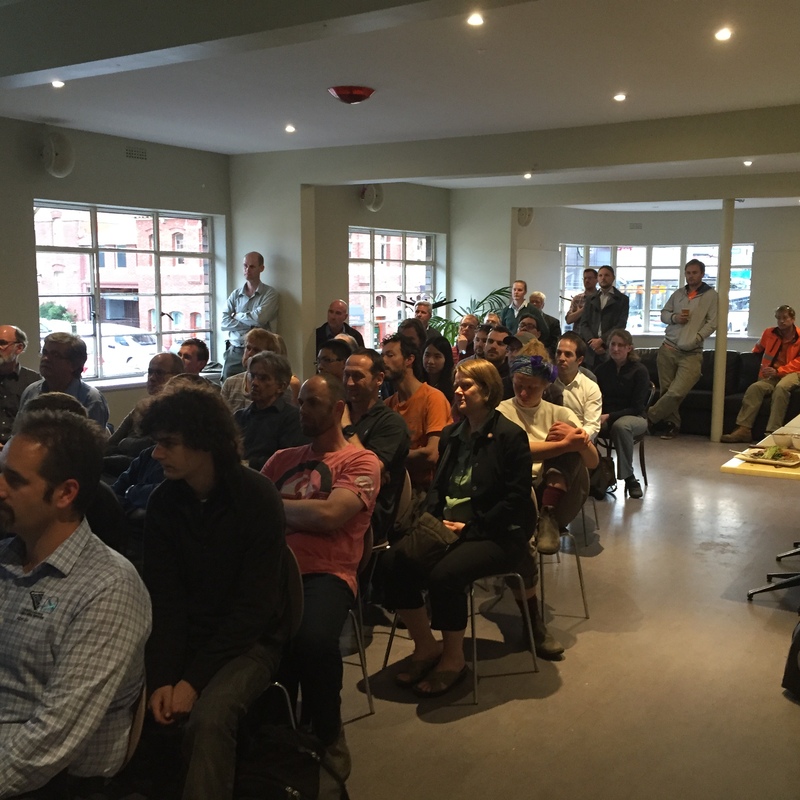 The third GeoRabble Tas event was held on Thursday the 25th of September and we had a record 61 people register to attend. The event was held upstairs at The Republic Bar in Hobart and was sponsored by Lester Franks (thanks again, LF). Arko Lucieer spoke about the efforts of Terra Luma, which is a group organised out of UTAS that are researching unmanned aircraft system (UAS) applications. He spoke about the difference between airborne LiDAR, structure from motion and their work comparing the two techniques, as well as a number of specific applications of UAS as a data capture platform. 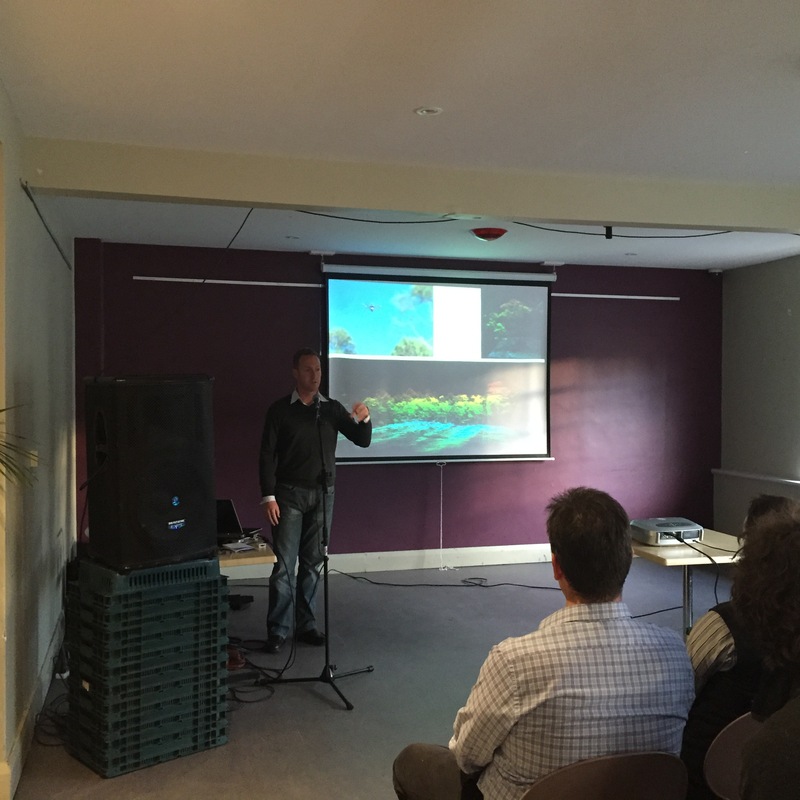 Adrian Fairfield, from Cohen and Associates, then spoke about projects that their platform had been working on, including capturing ortho-imagery across coastlines and other inhospitable areas. James Head-Mears showed us all the fancy close range point-cloud creation tools that Lester Franks use in order to capture a variety of data for a variety of applications, and he showed us the process of reverse engineering an army truck. In summation, a lot of interest was piqued, some delicious food consumed and lots of catch-up occurred. It will happen again, soon, and so I’ll see you there at the next GeoRabble Tas.